The 6th Annual Festival, August 3-5, 2018, expects 13,000+ attendees to descend on the gorgeous mountain retreat of Sunrise Ranch in Loveland, CO. 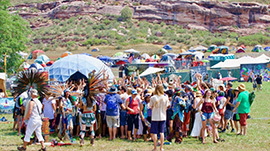 The 3-day music, yoga, activism and co-creative camping festival features an electrifying lineup of conscious musical artists, provocative films, dynamic speakers, awe-inspiring art installations, heart-opening yoga classes, interactive workshops, performance artists, and an acclaimed art gallery. Thought leaders will speak on topics ranging from organic / GMO-free farming environmental sustainability, healthy living, and civic and social responsibility. 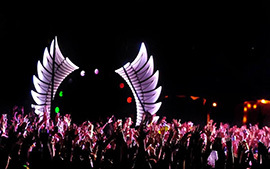 The ARISE Music Festival is much more than a music festival… it’s a movement. A festival as large as ARISE can produce a lot of trash! 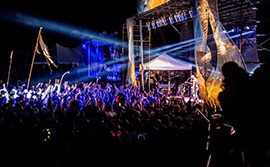 Great efforts are put forth each year by the festival organizers and their partners to reduce the amount of trash that gets sent to the landﬁll , and as a result, all foodservice operations are required to use the compostable products you will find available to you on this site. You also have access to special pricing that is in place exclusively for ARISE 2018, so don’t wait until the last minute – order your products now!